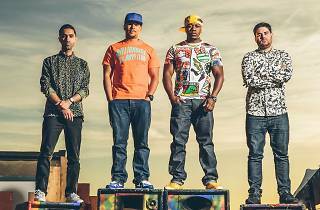 Rudimental are one of London’s great homegrown success stories. Their Mercury Prize-nominated 2013 debut album ‘Home’ spawned a slew of massive hits including ‘Feel the Love’, which launched the career of John Newman, and ‘Waiting All Night’ which did the same for Ella Eyre. 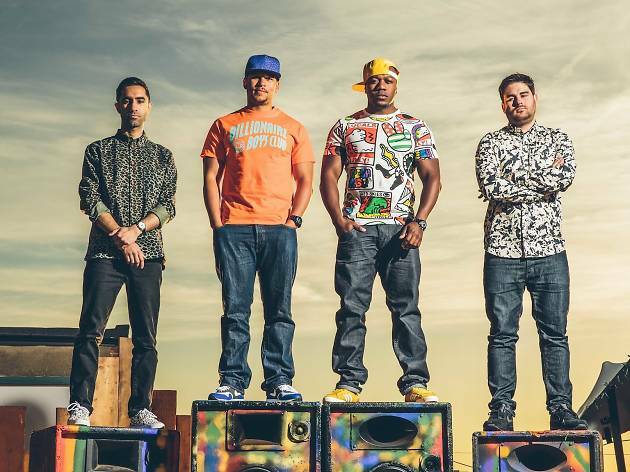 Fresh from touring America in the company of their old mate Ed Sheeran, this summer sees Piers Agget, Amir Amor, DJ Locksmith and Kesi Dryden return to the UK to take the Friday headline slot at this year’s Lovebox festival in Victoria Park. They also have a brand new record primed for imminent release. We caught up with Amir Amor to find out how they’re handling their swift rise. You’re headlining Lovebox this summer. Will it feel like a homecoming? Will you get a chance to see any other acts? How are you dealing with the step-up becoming festival headliners? Do you have a point to prove at Glastonbury given that you couldn’t finish your set last time because of lightning striking the stage? You’ve just finished your new record. Any special guests this time round? How are you feeling about supporting Ed Sheeran at Wembley Stadium in July? Your first record was very influenced by London’s pirate radio stations – can you retain that vibe when you’re on a bus in America?